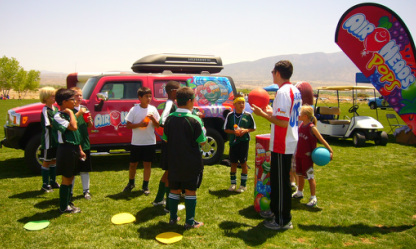 Bringing the fun, the crazy, and the active, Airhead Pops joined forces with the US Youth Soccer Association for a summer of connecting with kids across the country! Engaged children in being excited about being active and eating sweets in moderation. Identified the unique personalities of children in order to create a level of comfort and fun. Successfully communicated the relationship between a candy working in conjunction with a youth sporting association. Facilitated deliveries and pick-ups of product.